It was June 8, 1912, a day the New York Times called “second only to the inauguration of a President” because of the parade that included 15,000 troops, 2,000 motor cars, 50,000 Knights of Columbus, around 150,000 spectators, a 21 gun salute, and elaborate horse-drawn floats depicting noteworthy incidents in Columbus’ life. At the unveiling ceremony, President Taft said, “It is most difficult for us by any effort of the imagination to take in the problem which Columbus solved.” Yet today Columbus is hardly thought of as a national hero to anyone beyond the third grade. Maybe the Columbus statue has simply been gradually overlooked as Washington, D.C. has continued to add more and more monuments. 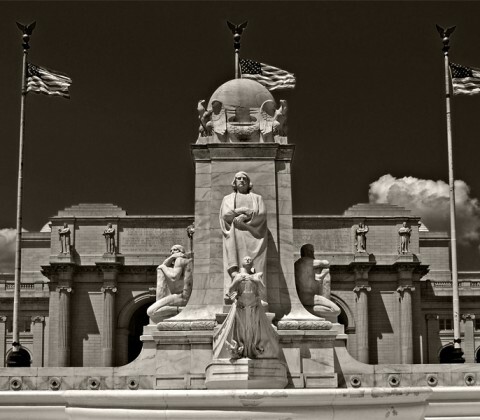 As you emerge from Union Station, the first thing you see is the rear of the Columbus fountain. 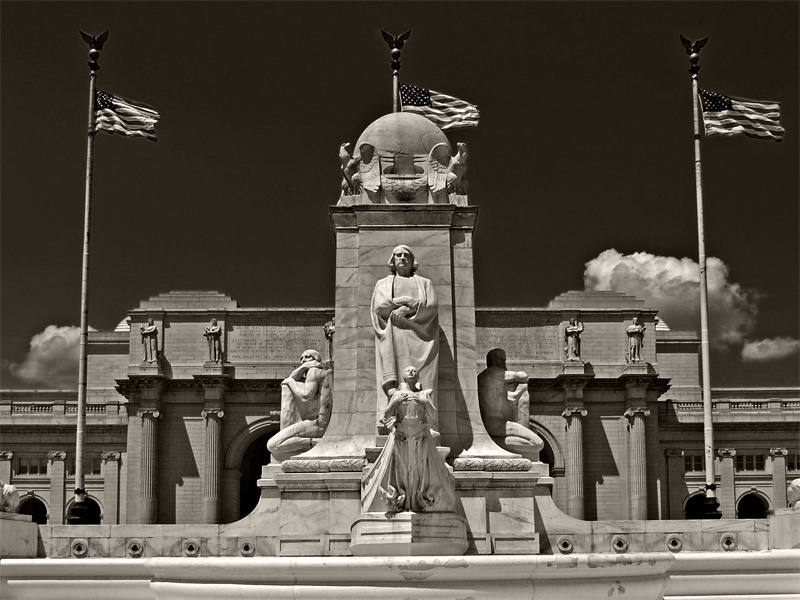 Its marbled plaza is an alluring first sight, fitting as it is with the classicism of Union Station itself, and it’s open enough to provide a breath of fresh air and space after a cramped train ride. Happy 4th of July, and thanks Christopher for discovering America, or re-discovering it!